Johnson & Johnson have been ordered to pay over $29 million to a woman who said that asbestos in their talcum powder products caused her cancer. The California jury found Johnson & Johnson had failed to warn consumers of the health risks associated with its products and awarded $29.4 million in damages to Terry Leavitt who was diagnosed with mesothelioma in 2017 . This is the latest defeat for the healthcare conglomerate still facing more than 13,000 talc-related lawsuits nationwide. RT reports: Leavitt was diagnosed with mesothelioma in 2017 after using Johnson & Johnson’s Baby Powder and Shower to Shower during the 1960s and 1970s. Asbestos is a term for a group of minerals often found near talc, which is widely used in cosmetics. Exposure to it may increase risks of a number of diseases such as lung cancer and mesothelioma. Leavitt’s is the first case to go to trial since a December Reuters report based on internal documents confirmed Johnson & Johnson was aware the talc in its products sometimes contained asbestos from the 1970s up until the early 2000s, but failed to inform consumers or regulators of that fact. Two previous cases have led to victories against the conglomerate, including a July 2018 multi-plaintiff ovarian cancer case that awarded $4.69 billion in damages to the victims. Johnson & Johnson also won three cases, while five led to hung juries. 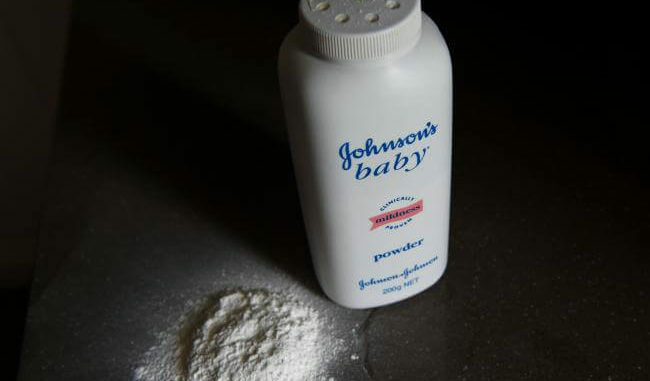 Johnson & Johnson is facing over 13,000 more cases stemming from asbestos-contaminated talcum powder. The company claims its products are “safe and asbestos-free” and promises to appeal the verdict, claiming Leavitt’s lawyers made “serious procedural and evidentiary errors” and failed to prove its baby powder was in fact contaminated with the carcinogen.